Heard about Trunkt? It's a wonderful showcase of independent art and design. Boston Handmade artists featured on Trunkt include Stonehouse Studio, J.Hill Design, Karalee Designs, ThirteethStory, and Paper Menagerie. Trunkt.org is a very selective site and the jury parameters are strict. Even after being accepted, each and every photo uploaded has to be approved before it's published. 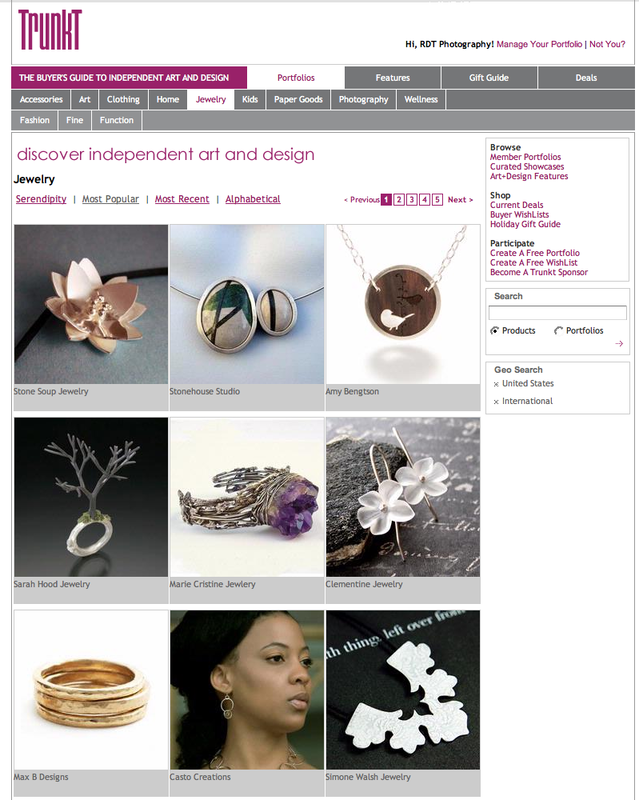 Since it is not an e-commerce site, design and artistic merit are what counts. None of that monetary for profit stuff getting in the way!